Neither my external or internal microphone work in Ubuntu Karmic Alpha 6 (updated 24 Sept 2009). Got internal mic working but still does not work with external mic in microphone jack. the Pulse control only sees one mic. 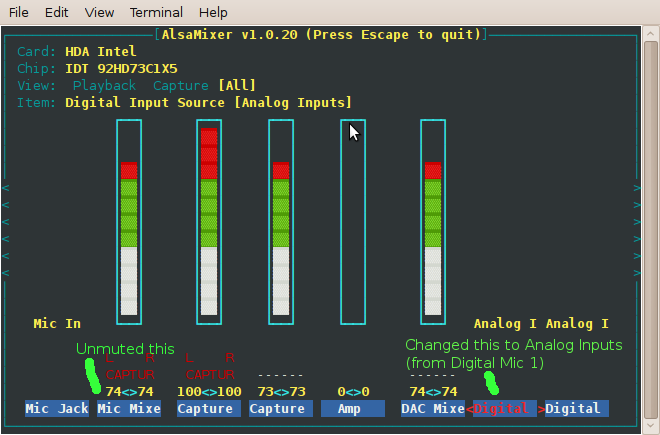 Switching analog to digital or mic in to line in alsamixer. Does installing linux-backports-modules-alsa-karmic resolve this symptom? Haven't tried backports, but I fixed it via alsamixer. 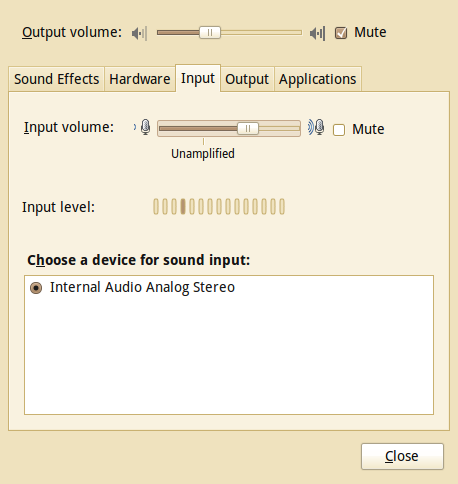 Definitely should be a way to switch between this in the gui Sound Preferences dialog though. Daniel, why do you consider that a gnome-media issue?